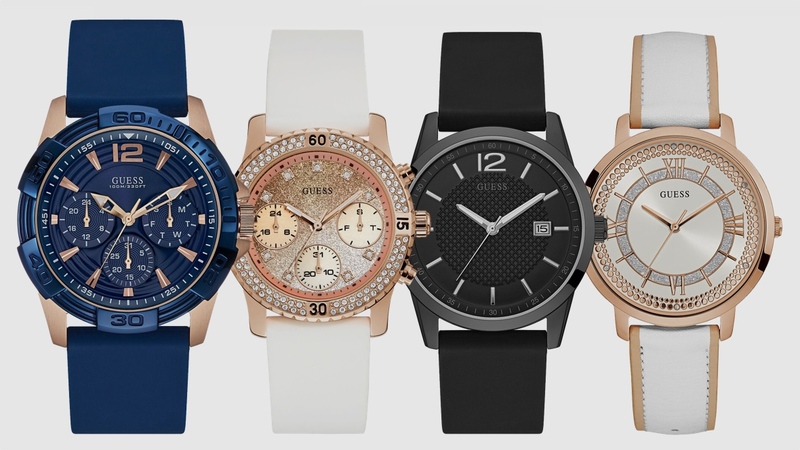 After dabbling in the world of touchscreen smartwatches, Guess has launched a collection dedicated to contactless payments. The fashion house has unveiled six watches within a new Contactless collection, with three styles each aimed at women and men, ranging from £119 - £219. The designs aren't the same smartwatch or hybrid styles we've seen previously from Guess, with the Contactless collection instead housing the smarts inside the watch strap. That means the watch itself will, in fact, be of the 'dumb' variety, aside from its ability to handle payments of £30 and below across the UK. However, the device can still be paired to the bPay app, where wearers can track their spending and top up their balance. We specify the UK because, as of yet, there's no word on if the Guess collection will be available in other territories in the future. For those picking up one of the watches, though, the device will be able to work and handle the payments of any Visa or MasterCard debit or credit card registered to a UK address. Of course, the Contactless collection arrives after Barclays and Guess partnered back in March to produce the watches. And from what we can tell from the images, the devices are in keeping with what we've seen from Guess previously. All six appear to offer something a little different - from the glitzy white/gold women's option to the more sporty black/grey men's choice - which is refreshing, though we'd have also liked to see the company return with a follow-up to the Guess Connect Ace. Stay tuned for our full impressions, as we look to test out one of the new Contactless collection watches in the coming weeks.